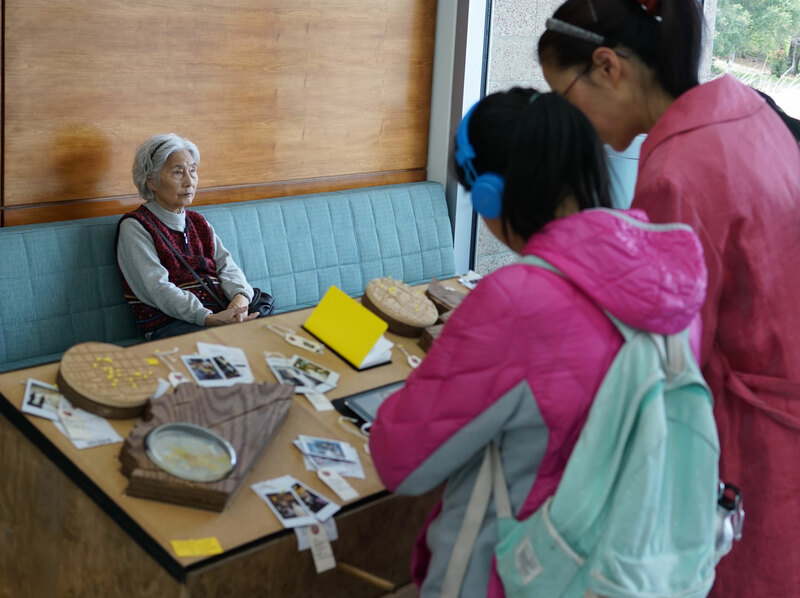 Cesar & Lois presented an [ECO]nomic experiment at the LAST (Life Art Science Technology) Festival at Stanford at the SLACNational Accelerator Laboratory in April, 2018. The project visited adjacent cities where the extremes of economic circumstance are represented – Palo Alto and contrasting East Palo Alto. 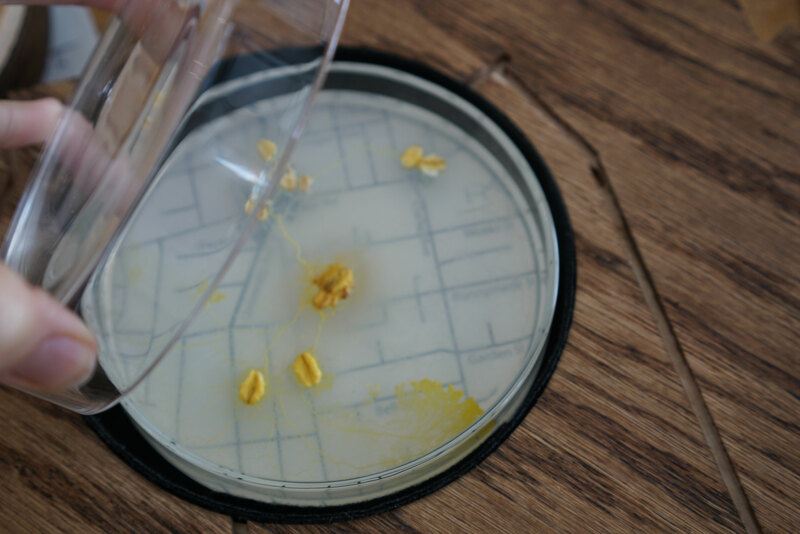 The physical installation includes maps of areas of the city that contrast one another in wealth and demographics; each of these maps is a substrate for microbiological colonies. 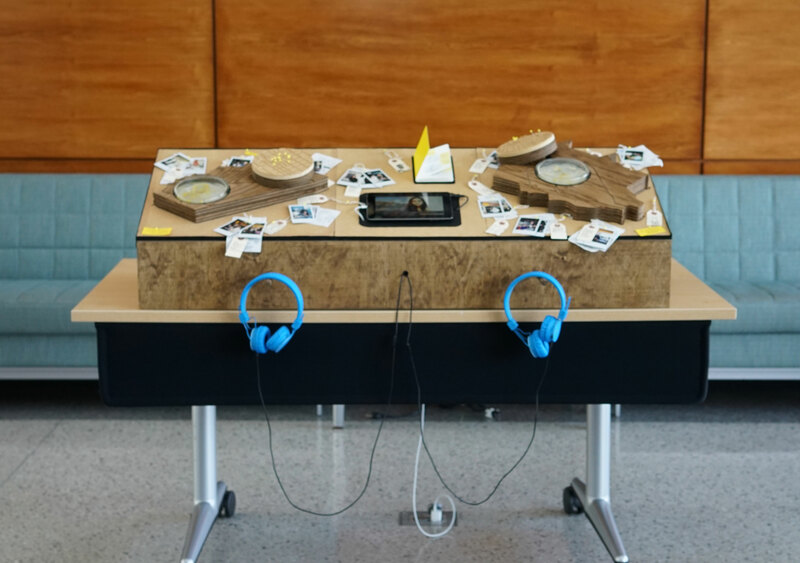 As part of the project, Cesar & Lois traveled the path of Physarum polycephalum, as the microorganism nourished itself, and similarly shared food with a network of individuals that the duo encountered in both cities.